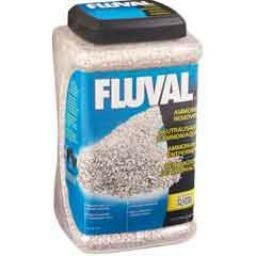 Aquaria Fluval Ammonia Remover 2800g.-V - Rick's Pet Stores Inc.
Fluval Ammonia Remover is a natural ion-exchange media designed to remove toxic ammonia as water passes over it. Controlling ammonia levels reduces stress on fish. 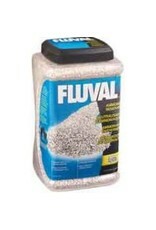 Use this product to provide a healthy environment when setting up a new aquarium or maintaining one that contains a higher than average fish stock. For freshwater use only. For filter models: 106, 206, 306, 406, FX5, 105, 205, 305, 405, 104, 204, 304, 404.